Cocktails and Mocktails Out and about on Friday afternoons? Walking home from the train? 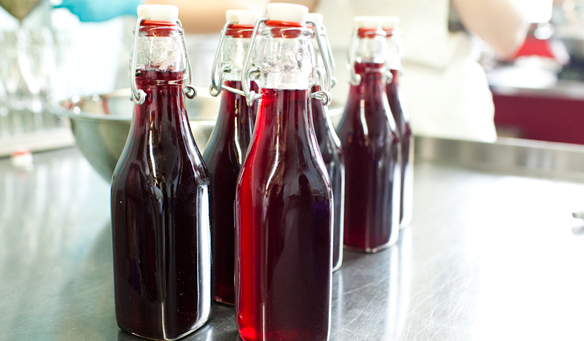 Join us on Friday, February 15th from 4 - 6 pm when we will be demonstrating the Sodastream Revolution Carbonator with our new Quince & Apple syrups and giving you a recipe for a fab adult beverage (which of course you will get to try!). Stop in at the end of a long week and get your weekend started right. Some Like it Hot! All during the month of February, we will be running some special promos related to things that are HOT -- this week it's ladles (for that hot soup) and thermometers. Then we'll move on to candles, your favorite spicy foods and spices, and hot mitts and potholders! Watch our email and Facebook for this week's special -- and get 20% off these HOT deals! "Meet Me at Marcel's" Kicks off in March We're so excited to tell you about a new event that we'll be hosting periodically here at Marcel's! On Sunday, March 10th from 4:00 - 6:00 pm we invite you to join us for our first "Meet Me at Marcel's". We'll be talking about wedding showers, engagement parties, spring parties and all things celebratory! We'll serve a simple elegant appetizer, a yummy cocktail (and you get both recipes) and here's the most fun part.... we'll make a perfect "take away" favor that will bring fun and style to any party table! Tickets are $10.00 and available at the front desk starting Monday, February 18th. And wait - it gets better! The cost of the ticket can be applied toward regular priced merchandise or a class on the day of the event. So, stop in, grab your ticket and "Meet Us at Marcel's!" 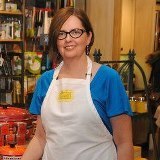 Chicago Gourmets have another delightful evening planned at Marcel's on Saturday, April 13. Chef Paul Lindemuth has an exceptional menu in store. Come join the fun for an evening of Wine Reception, Cooking Class and Dinner in Marcel's formal dining room. For more information, go to www.chicagogourmets.org. Thanks to those of you who responded to our class survey! We got great feedback and have implemented a number of your suggestions for our 2nd quarter calendars. Look for those on line and in the store on February 15th! AHHHH, it's February and LOVE is the air! 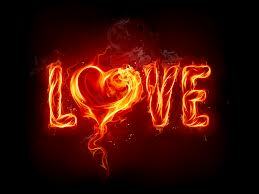 We here at Marcel's are constantly reminded of things we love! I must say that we LOVE the attention that Marcel's has gotten lately on local and national TV. In case you missed it, Steve Dolinsky, the Hungry Hound from ABC7, did a segment featuring Chef Jamie and a class of fabulous 8 - 12 year olds COOKING AND CREATING! Lynn Dugan was also on ABC7 with healthy new year's resolutions. And on Wednesday, January 30, Fox Business News sent reporter Jeff Flock to find out if the Fed's newly released 4th quarter GDP drop was reflected on Main Street, USA. Reporting live from Marcel's during a midday cooking class taught by Chef Katie, Jeff interviewed me and I happily reported that Marcel's on Main Street, sees "more optimism" than the latest financial figures indicate. That's something to CELEBRATE! We love to see your friendly smiles as you walk through our doors. We love to hear how you translated the experience from your cooking class to your dinner party, or the way that new linen brightens up your dining room table, or how the Rare Bird Meyer Lemon preserves really complemented your scones. We also LOVE to share culinary ideas~ new techniques, tips,and tricks that might make your culinary experiences a bit more easy, quick or flavorful. We are pleased to present the newest addition to our monthly newsletter, "Marcel's T.I.P.S." Please see below for our first installation! And, as usual, we love to Cook, Create and Celebrate with you! Approximately 150 million cards will be exchanged this Valentine's Day, making it only second to the cards exchanged at Christmastime. Februrary is the time to celebrate whom you love. Family and friends top most of our lists. But instead of card-giving, I tend to bring my family and friends into the kitchen. Whether we are cooking together or sharing a meal, it is what I love to do. It is often difficult with the ages and stages of my kids to eat many meals together as a family. But, when we do, it's the best! We set the dining room table and dine with cloth napkins and fancy plates (not the china, yet!). And when I can, I love to cook with one or all of my kids. Matt loves to chop veggies, Courtney is a great salad maker (especially Caprese), Becca will do anything except cut the onions (they always make her cry) and Johnny is the best taste-tester! In individual dessert cups, scoop 1/4 cup lemon sorbet. Top with 3-4 fresh raspberries. Sprinkle with lemon zest. February's calendar is filled with ground hogs, the Super Bowl, the Chinese New Year, Mardi Gras, Cupid, presidential birthdays, the Oscars, and an occasional leap year. For the shortest month of the year, that's a full schedule! The kid's get into the action, creating "rose" strawberry bouquets for Valentine's day class on February 9th and Crepes on their day off from school on Monday, February 18th. 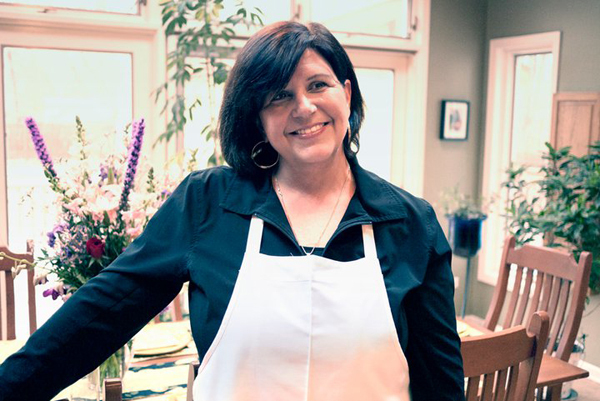 If January had you resolving to eat less meat and stop skipping breakfast, Lynn Dugan and Chef Katie can keep you on track. 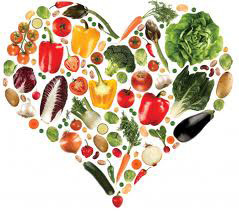 Join the ranks of the "flexitarian" (2/21) amking meat an ingredient in a dish, not the main event, and "break the fast" (2/22) by restocking and refueling your enery stores giving you all the energy you need for the day's activities. Heading south, culinary speaking, lead to Southern Revival (2/23). Southern cooking is going beyound fried chicken and biscuits to Roasted Peanut Soup with Honey Whipped Cream and Coconut Southern Comfort Layer Cake. Now that's whistling Dixie! 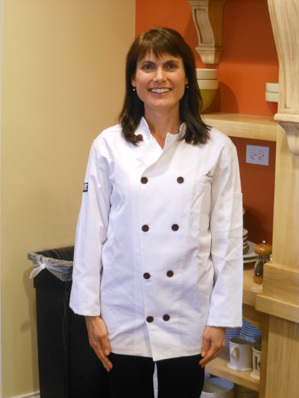 Beat the winter blues with Puff Pastry and Phyllo Dough Workshop (2/24). Vastly different dough, yet each can be utilized for both sweet and savory dishes yielding delicious results. No matter what your selection, meet us at Marcel's for your February culinary adventure to COOK, CREATE, AND CELEBRATE! February can't come and go without the word "LOVE" coming to mind. This got me thinking about what I love most in my kitchen. Ina Garten's recent post on Facebook was "I'd LOVE to know what kitchen tool you can't live without." This post sparked my idea for THE DISH this month. 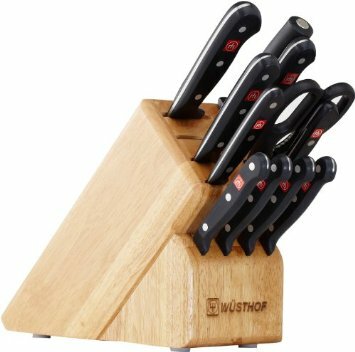 I have had a twenty year passionate relationship with my Wusthof knives. I bought my 7 piece classic block set shortly after getting married. Just like any good romance, my love for knives is still going strong. I use them multiple times a day for endless jobs. Over the years, I have expanded my original set to include a tomato knife and my favorite, a 7 inch santoku. The right knife can make cooking prep a joy. Wusthof has been producing precision forged knives of the higest quality since 1814. Balance, comfort, extraordinary strength and outstanding sharpness make these knives an essential kitchen tool. Most chefs will say that a good sharp knife is the best tool in the kitchen. I realize that good cutlery is a big investment, but this is one tool that is worth it! With the right care, they should last your lifetime. Marcel's offers a wide variety of Wusthof products. If you are in the market for one knife or a block set, or just want to know what the heck a santoku knife is, stop in. We would be more than happy to introduce you to Wusthof and you may just fall in "LOVE". And make sure to ask us about our Wusthof specials -- it is the perfect time to get an 8" Classic Cook's Knife for less than $100! Use your Wusthof knives to chop and prep the ingredients for the following recipe! Preheat oven to 400 degrees. In a medium Dutch oven or heavy ovenproof pot with a tight fitting lid, heat oil over medium high heat. Add shallots and cook, stirring occasionally, until soft, about 3 minutes. Add garlic and thyme and cook until fragrant, about 1 minute. Add rice and cook, stirring frequently, until opaque, about 3 minutes; season with salt and pepper. Add wine and cook, stirring, until comletely absorbed, about 2 minutes. Add squash and broth, bring mixture to a boil. Stir in kale. Cover, transer to oven, and bake until rice is tender and most of liquid is absorbed, about 20 minutes. To serve, sprinkle with parmesan. KAREN FLEMING, Sales Associate: I love to help customers buy hostess gifts at Marcel's, and one of my favorite suggestion is a lovely Garnier-Thiebaut towel. Made in France, the 100% cotton towels come in beautifully blended colors and subtle designs. They are the perfect complement to anyone's kitchen. 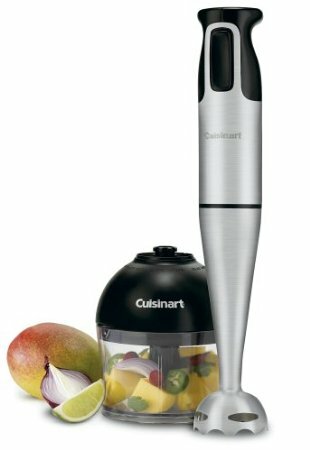 KATIE MARXHAUSEN, Sales Associate: I love my new "go to" kitchen essential, the Cusinart Immersion Blender. I have watched our Chefs use this in class, and decided to give it a try. WOW...so easy to puree my soups, whip cream, whisk my salad dressing and chop onions. Give it a try, and you might fall in love as well! DEB FORKINS, Sales Associate: I love peanut butter, but OMG, our newest artisan product from Big Spoon Roasters is simply amazing! 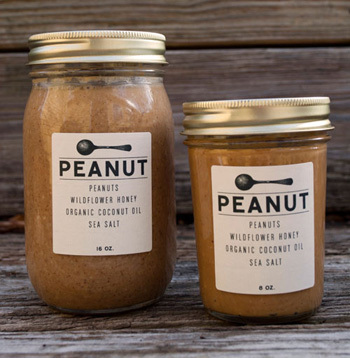 Peanuts, wildflower honey, organic coconut oil and sea salt blend together to make your tastebuds smile. Spread it on anything from an english muffin to a honeycrisp apple! Heavenly!